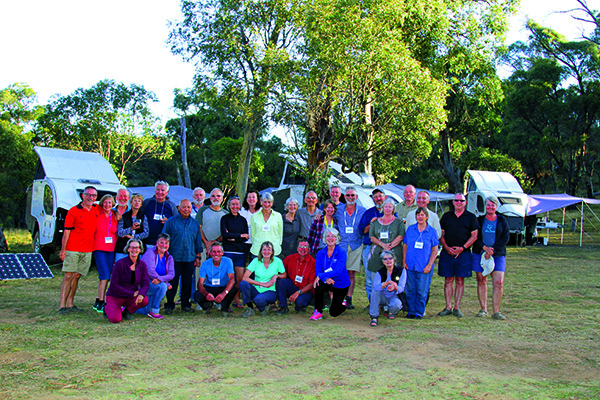 A Hasta La Vistas, or in plain English, a gathering of Vista campers and their 'Vistarados' (a.k.a. owners) took place in the highlands of southern NSW over two weeks, earlier this year. Seventeen of the premium Victorian-built hybrids, representing over a million dollars worth on the showroom floor, joined forces for their biggest group get-together yet. Typically for the Vista annual meets, organised largely by Melbourne-based owner David “Numb Thumbs” Jones, this was a semi-mobile assemblage that rolled through three campgrounds to spread the scenery and fun. Various campers dropped in and out through the two weeks, with a core group hanging in for the entire time. Campers came from all states, including Tasmania, but Chris and Jane Rowett from Fremantle in WA travelled the furthest, joining in the fun after picking up their brand new camper just a few weeks earlier. 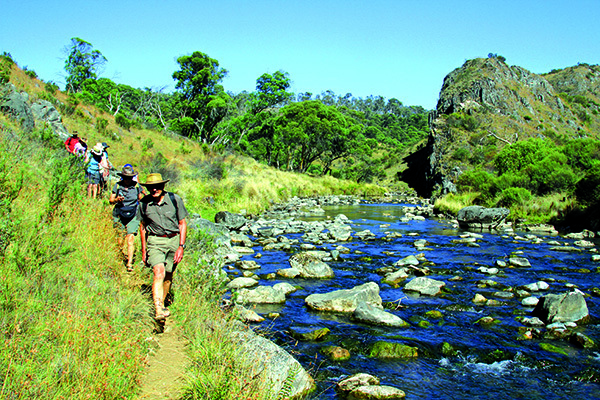 The group began the fortnight with a camp at Blue Waterholes in the Kosciuszko National Park. It was rather cramped, but great fun as a result, with everyone jammed into the small upper Magpie Flat area. It was a very picturesque site, with some great walks and deep limestone gorges all around. 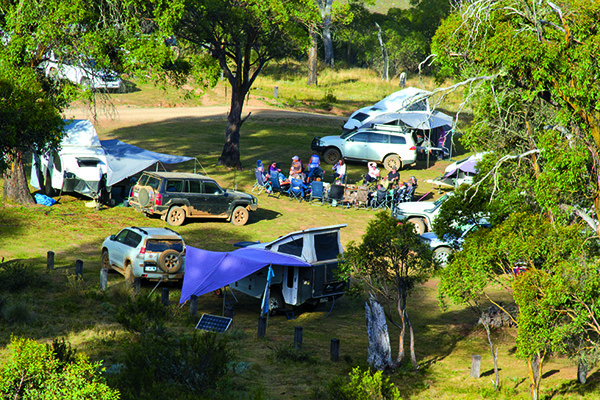 During the five-day stay at Magpie Flat, campers could join in an all-day 4WD trek along some muddy and at times quite overgrown fire trails, led by ACT 4WD Club member and Vista RV owner Tim Elliott; and an all-day trip to the nearby Yarrangobilly Caves, for a swim and picnic at its pleasant thermal pool—which remains at a very comfortable 25?C all year round. The steep walk out, however, took the edge off the refreshing experience. This Blue Waterholes site featured lots of wildlife, including snakes and wild horses which came into camp each night, and a number of old huts and houses preserved in the park. From there, the group moved to the Platypus Point campground on the western side of Blowering Dam. Here, the group spread to seek shade, and the group was treated to a wild and blustery storm in the middle of a happy hour gathering. Trips to the nearby gold diggings at Adelong, and “the big smoke” at the small towns of Batlow, Talbingo and, for its annual show, Tumut helped to enliven the few days there. Swimming and kayaking were also on the menu in the dam waters. While several vistarados were forced to head home the remainder headed south on to Swampy Plain River campground at Geehi Huts. Here there was great swimming, trips into some really high country and the absence of the organising leaders, who blew the cooling system in their Jeep on the way, and had to head home with a loaner Commodore from the RACV. It was a great two weeks of travelling about with a good bunch of people. Thoughts are now being directed to next year’s Hasta La Vistas.